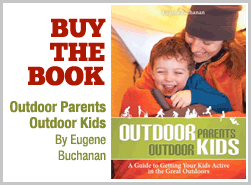 Welcome to Recreating with Kids’ Sweepstakes Give-away! Enter your name and email below to register for the drawing and to receive our newsletter. Tote your toddler around in style with this quarter’s prize: the Kelty Kid Carrier FC 3.0! 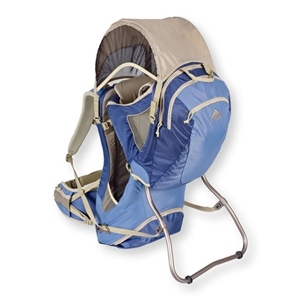 New for 2010, this top-of-the-line trail-based carrier (retail value $249.95) has a unique five-point, adjustable child’s harness for your child and auto-deploy kickstand. With a unique molded back panel, and numerous convenient extras such as Kelty’s Sun Hood and changing pad, this deluxe carrier is perfect for getting tykes on the trail. 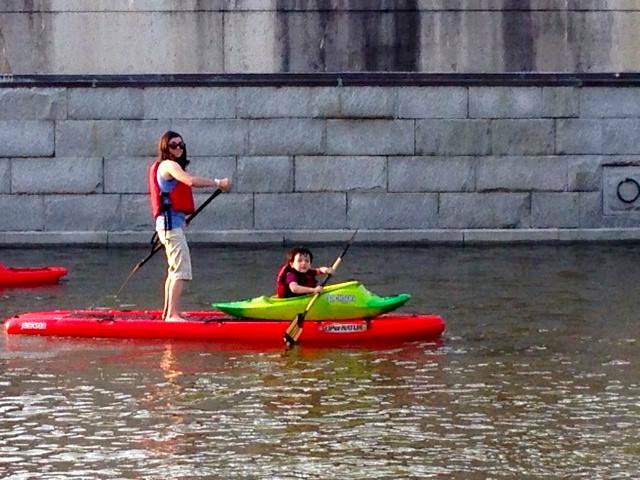 An all-around rec kayak for everyday use on ponds, lakes, estuaries and meandering rivers providing fun for the whole family. Designed for years of care free use, it measures 11-feet long and 30-inches wide, weighs 54 lbs., and comes with a 3-year warranty on hull. With a weight capacity of 350 lbs., it comes with adjustable foot braces for comfortable & secure foot bracing and an inflatable stern flotation bag for extra flotation and water displacement. More info here. 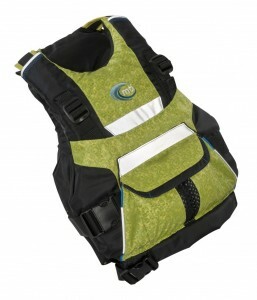 The MTI BOB is a totally new performance PFD for Youth 50-90 lbs with grown-up fit and features. Easy over-the-head entry with single side clip-closure cinch down for a secure hold. Soft shoulder straps are buckle-free yet micro-adjustable with the new tuck-away shoulder strap management system Sculpted low profile foam body with the mesh PORTHOLE on the back is cool in more ways than one. Generous reflective panels and trim with contrast color stitching. Handy cargo pocket with soft fleece hand warmer tunnel and edgy Fractal Green print makes the BOB the ultimate Generation Y life jacket. Sizes: 50 – 90 lbs.